The Chrissie leftovers are well and truly gone by now, and we now sadly have to start heading back to work. Yeah, that may not be great, but at least we still have our football! And trust me when I say this: the next month will probably be the most exciting month in the football boot world since June last year when all the releases before the World Cup were being unveiled. This week’s boot spotting gives us a glimpse into the some of the releases that will make this month absolute gold, plus we have your usual mixed bag of boot switches, custom boots, you know what to expect. Check it all out below! 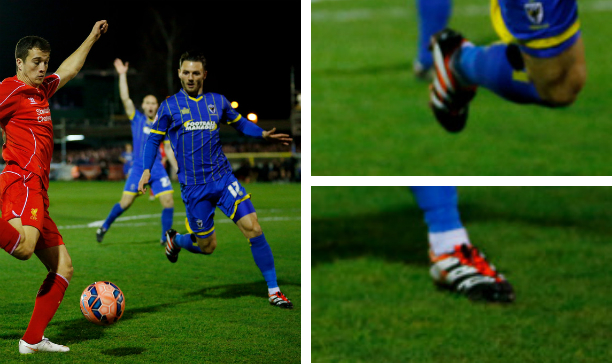 You guys should know by now that a custom blackout job by a pro footballer can often point to signs of a potential boot switch right? 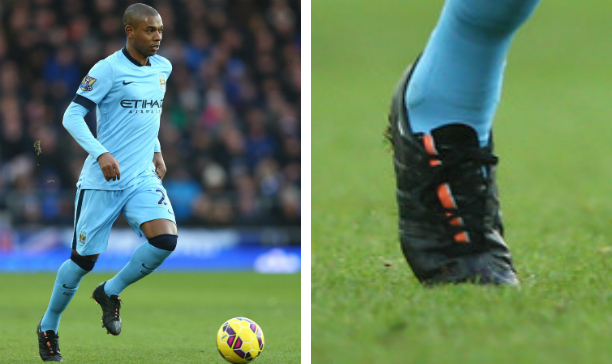 We may be looking at another case of a footballer getting the itch to switch boots, with Fernandinho taking the permanent marker to his adiPure 11Pros, identifiable by the instantly recognisable orange streak running down the middle of the tongue. Who might Fernandinho sign up with? Who knows, but considering he is a mainstay in the Manchester City line-up these days, he would be a worthy signing for quite a few brands. Of all the boot packs that adidas launched last year, I must admit that the Pure Leather pack is right up there as one of my personal favourites. 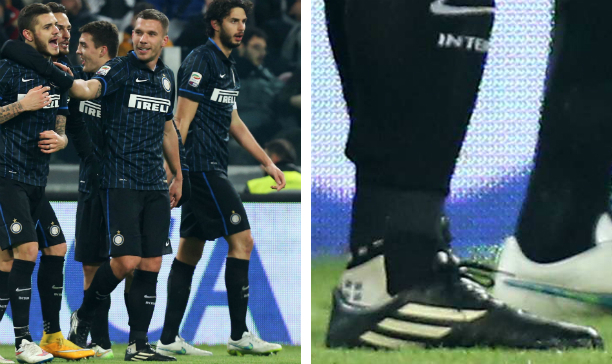 We have hardly seen any players rocking the minimalistic boots, but Lukas Podolski has surprised us all by bringing out the K-Leather F50 in his debut for Inter Milan last week. Podolski has always been a player who is not shy to do something a little different with his boots (like his boots that paid homage to Michael Schumacher 12 months ago), so let’s hope that trend continues for the German. Yeah, so Son Heung Min has let the cat out of the bag here. While the official launch of the next generation F50 adiZero is not too far away, the South Korean has given boot fans a peek at the launch colourway of the new boot. The stunning red colourway will be at the front and centre of the boot launch in the coming days, but Min has also given us the opportunity to work out the new specs of the boot in advance. With the three back studs and a redesigned upper that is now much more textured than the current F50, this will be a very exciting release from adidas. Man I can’t wait for my pair to rock up on my doorstep! 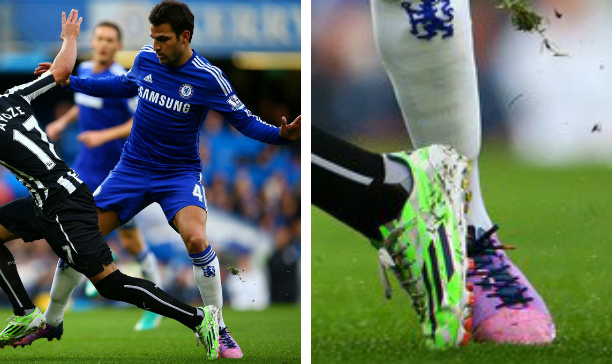 So what did Dani Alves wear in 2014? Well he started off in Nitrocharges, then he didn’t like those anymore and started wearing F50s, then he switched between Superfly Is, custom Nitrocharges and F50 adiZeros plus a Mercurial Vapor X for good measure. 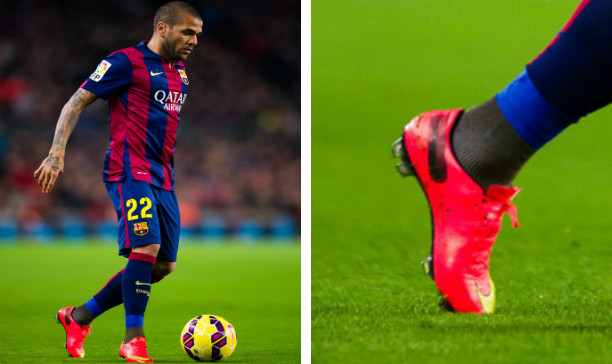 Dani Alves has come into 2015 in Vapor Xs once again, but the full back has back tracked to the World Cup colourway of the Vapor X. Perhaps most perplexing of all is the Alves’ mini-customisation job, as he has strangely blacked out the small Nike tick on the inside of the heel, yet he has left the massive Nike logo on the front of the boot untouched. If he has tried to cover up which brand he is wearing, he has done a pretty poor job of it, so we cannot quite see the logic behind Alves’ madness. With those boots on your feet Callum, you should not be lurking about in the background, chuck yourself right out the front of the photo mate! 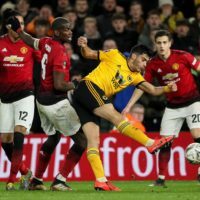 Adidas going old school last year with the 2014 versions of three classic adidas Predator boots was certainly one of the highlights in the football boot world last year, and we have been lucky to have the odd footballer have the stones to wear the limited edition boots out on the pitch. Kennedy is rocking the Accelerator re-make, and he would have 9 when the original Accelerator came out way back in 1998. 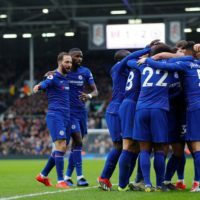 Join the crowd Romelu, there are a lot of you professional footballers who are chopping and changing boots at the moment. The big Belgian has always been a fan of his Mercurials, but the striker has seemingly had a change of heart and gone for the Hypervenom Phantom. 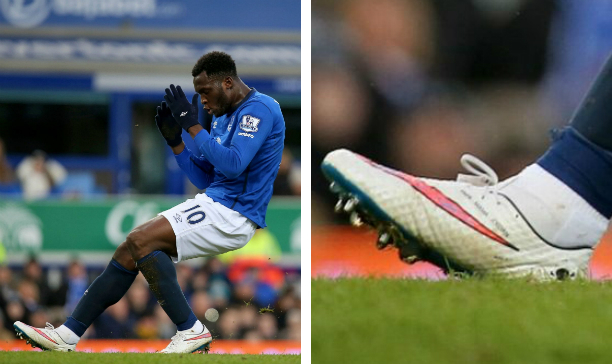 Lukaku joins a massive stable of strikers wearing the Hypervenom, so it is a seemingly logical choice from him to try the Hypervenom if he felt like trying something a little different. So the Asian Cup started up in Australia on Friday, and it gives us a chance to take a look at the boots of a few players you don’t normally see every week (like Son Heung Min above). Bahrain’s Faouzi Aaish has given us a rather special little boot spot with his gorgeously retro Tiempo Legend III Elites, which were launched for the 2010 World Cup. Aaish’s boots seem in ridiculously good shape if he wears them week in week out, so we have a feeling he brings them out just for special occasions.